For more options, you can also read my guide on affordable afternoon tea places under $10. One of the most popular high tea buffet in Singapore is the one from Cafe L’Espresso at Goodwood Park Hotel. The high tea spread ($45++) includes scones, sandwiches, desserts and savouries. A lovely place to spend an afternoon with your girlfriends. On weekdays, Chihuly Lounge at Ritz-Carlton Millenia serves their English afternoon tea in a three-tier dessert stand (non-replenishable) at $39++. On weekends, they have a western-style high tea buffet at $48++. Chihuly Lounge has several things going for it. I like that the lounge has a high ceiling – allowing light to flood the lounge – and it feels spacious and comfortable. I like that the lounge has good chill-out music, it is a lovely place to sit and watch the world go by. I like that the staff are attentive, knowledgeable and friendly. And of course, I love the cakes, pastries, and sandwiches, that are oh-so-delicious. 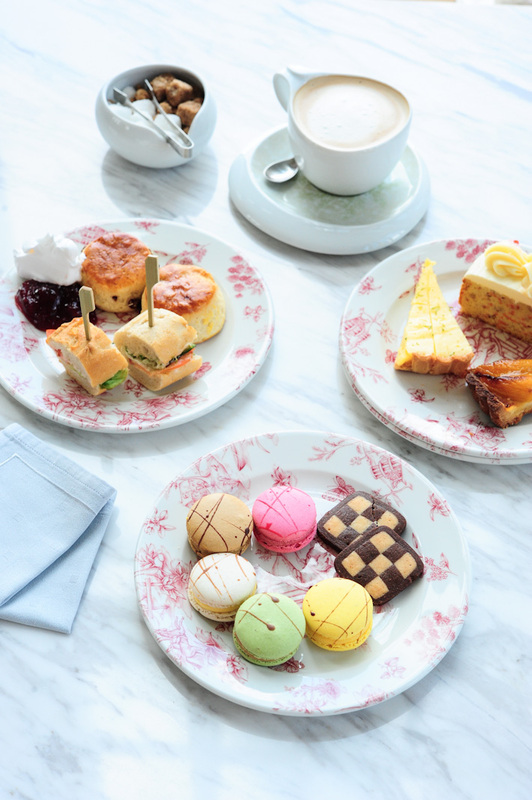 Marmalade Pantry has an afternoon tea set at $20++ each which is available with a minimum of 2 sets per order. The afternoon tea indulgence includes Gryphon tea, a selection of egg and cress, beef & horseradish and green land shrimp finger sandwiches, buttermilk scones, and a cupcake. Cosy, contemporary and effortlessly chic are some of the words that you will think of when it comes to PS Cafe. Despite the competition in the local dining scene, PS Cafe is still one of the most popular venues in town. Come here for the delightful sticky date pudding and awesome truffle fries. Rose Veranda, the classy tea lounge at Shangri-La Hotel, offers both international high tea buffet (S$38++ on weekdays), S$40++ on weekends) and English afternoon tea (S$34++ on weekdays, S$36++ on weekends). Another place that you can consider for English afternoon tea is The Lounge at Intercontinental Hotel. They have a 4-tier tea set at $38++ (non-replenishable), from 2pm – 5pm daily. Another highlight here is the Peranakan-style afternoon tea (S$28++/pax). It comes with a spread which includes wagyu beef with rice crackle, otah-otah, chendol, nonya kueh, and coffee/tea. On weekdays (12 noon – 5pm), The Regent Tea Lounge serves the traditional English afternoon tea which comes in a 3-tier dessert stand at $40++. During the weekend, there is an international high tea buffet (S$55++) which features a wider spread. The Landing Point at the lobby of the gorgeous Fullerton Bay Hotel is one of our favourite spots for afternoon tea in town. 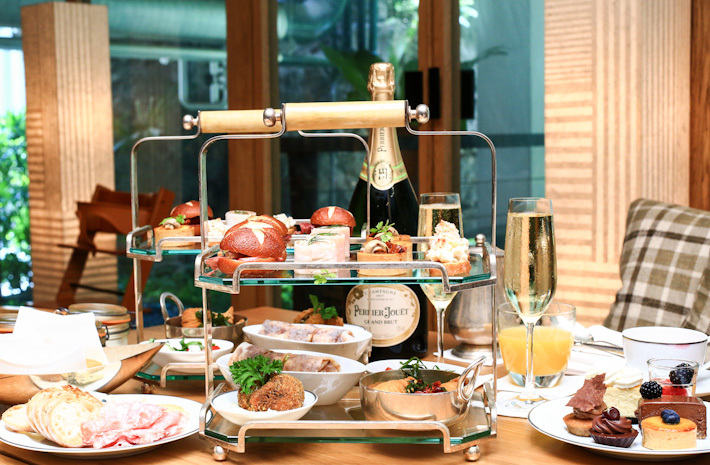 The 3-tier afternoon tea set (S$48++) is the best way to spend an afternoon. Indulge in a fine selection of scones, sandwiches, pastries, and coffee/tea. 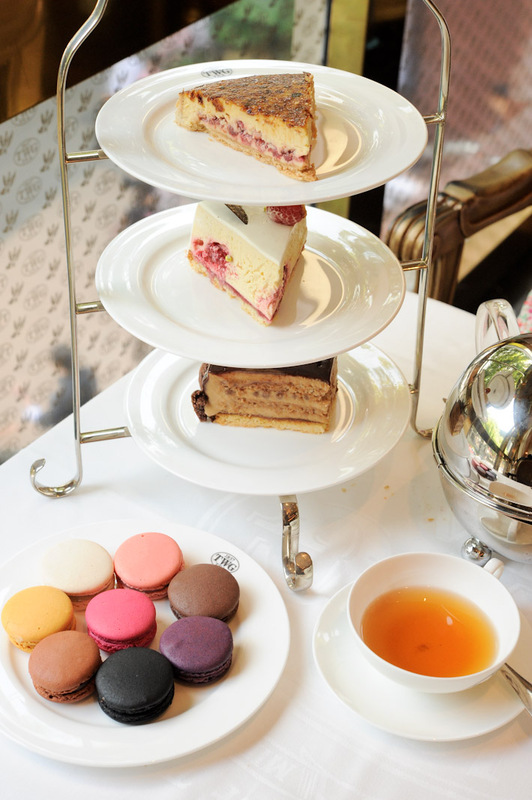 Over at The Fullerton Hotel Singapore, the afternoon tea at The Courtyard is equally good. For $42++/pax, you get a traditional English afternoon tea that consists of a premium selection of English sandwiches, homemade scones with clotted cream and jam, and an assortment of desserts. If you fancy a getaway to Sentosa, The Knolls at Capella hotel is the perfect place to spend a quiet afternoon with your loved ones. The classic English afternoon tea here is at $42++. TWG Tea Salon offers more than 800 different types of tea – it’s definitely the place to go if you are a tea lover. They have three different tea sets (3pm – 6pm daily) priced accordingly to different appetite. The 1837 tea set ($17++) includes two scones/muffin, 1 pastries/macaron and a pot of tea. The Chic Tea Set ($25++) has 3 fingers sandwich, 2 scone/muffin, pastries, and a pot of tea. But if you want to try their famous macarons, go for the Celebration Tea Time Set ($29++) which consists of the same items as the chic tea set, accompanied with 3 macarons. Having an afternoon tea at 10 SCOTTS at Grand Hyatt Singapore feels like dining in the comfort of your living room. It is divided into several sections, so each visit feels different every time you sit down with your papers and coffee. The Dining Room and The Living Room are perfect for a leisurely afternoon tea, while The Verandah offers a splendid view of the waterfall in Grand Hyatt Singapore. The Collection Room is tastefully designed and showcases specially selected art pieces. The Library is a cosy corner where you can enjoy some me-time and read a book or magazine while enjoying a cup of fragrant Earl Grey. The afternoon tea at 10 SCOTTS is the traditional English afternoon tea (S$43++/pax) which includes the classic items like scones, sandwiches, desserts and coffee/tea. It also comes with cold cut and live desserts stations. Looking for a high tea venue for 1yr old birthday celebration for 50pax. Hey Triffeny, i know you didn’t ask me but thought i’ll give my two “kaypoh” cents – i would suggest L’Espresso at Goodwood Park hotel – very casual, very well spread table and comfy sofa chairs – perfect for children. However, I’m not sure if an afternoon tea would suit children – it’s just that the food is a bit “atas” and not comfort food that kids eat.